Laser Partners offers laser hair removal that is fast, easy and effective. Get ready to kiss your razors goodbye and embrace smooth, beautiful skin. No need to go through those embarrassing “forgot to shave” moments, or bear irritation and ingrown hairs. Find comfort in knowing it’s gone for good. We’ll be happy to help make that dream come true. 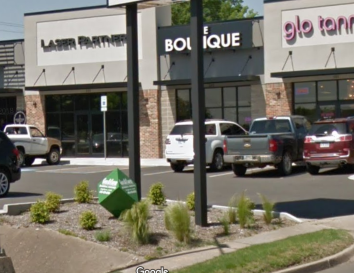 Our Fort Smith branch is conveniently located by Glo Tanning on Rogers Avenue. Come see us to solve your hair removal, body contouring, and laser facial needs. Laser Tattoo Removal – We have most advanced lasers available for getting rid of that unsightly tattoo you got when you were drunk one night in college. Don’t worry, we won’t tell. Body Contouring – Body sculpting and contouring is a popular solution for anyone wanting to lose stubborn pounds, tighten and tone, and improve their appearance and confidence. Skin Tightening – Non-surgical strategy for smoothing and revitalizing your skin so you can look your best again. Cellulite Reduction – No one likes cellulite on their body. But there’s good news: that annoying dimply, lumpy skin that we all hate can be removed without surgery. Skin Resurfacing – Remove wrinkles, scars, and lines helping your skin look younger and healthier. IPL (Photofacial) – Photorejuvenation uses lasers to treat skin conditions associated with aging including unsightly spots and textures. Hollywood Facial – The equivalent of a mild chemical peel with zero downtime, this facial is popular due to it’s fast positive effects. Hydrafacial – The only hydradermabrasion procedure that combines cleansing, exfoliation, extraction, hydration and antioxidant protection simultaneously. RF Microneedling – Non-invasive procedure that produces heat from high-radio frequency energy to remove wrinkles, improve texture, and reduce scars and stretchmarks. Teeth Whitening – Restore your naturally bright smile by removing surface stains quickly and easily.